You’ll have read and seen that the south-east’s railways are unreliable, expensive and uncomfortably crowded. As with all such stories, there’s a germ of truth there. But don’t let that put you off using the extensive network radiating out of London in all directions to access some of the astonishing countryside within a short journey of the capital. Are the trains reliable? Generally, yes. At the end of 2011, the nine operators who serve destinations on this site managed on average to run 89.9% of their trains ‘on time’ – this means within 5 minutes of their schedule. Occasionally things go massively wrong (and when they do, the railway has to get you home, by whatever means), but normally the worst you’ll experience is a 10 minute delay. Are the trains expensive? They can be. But off-peak fares are often surprisingly cheap, and there are plenty of good ways to keep the cost of travel down, as set out below. Are the trains overcrowded? Not the ones you’ll be using to do these walks, normally. Even if you are lucky enough to be able to escape London for the countryside during the week, you’ll be travelling against the peak flows. You might occasionally hit an overcrowded train at the weekends – maybe due to a special event, service disruption or a train that is shorter than it is supposed to be. In that case, console yourself with the knowledge that journeys are normally short, so you won’t be standing or cramped for long. Most of the time, you’ll be able to spread out in comfort! 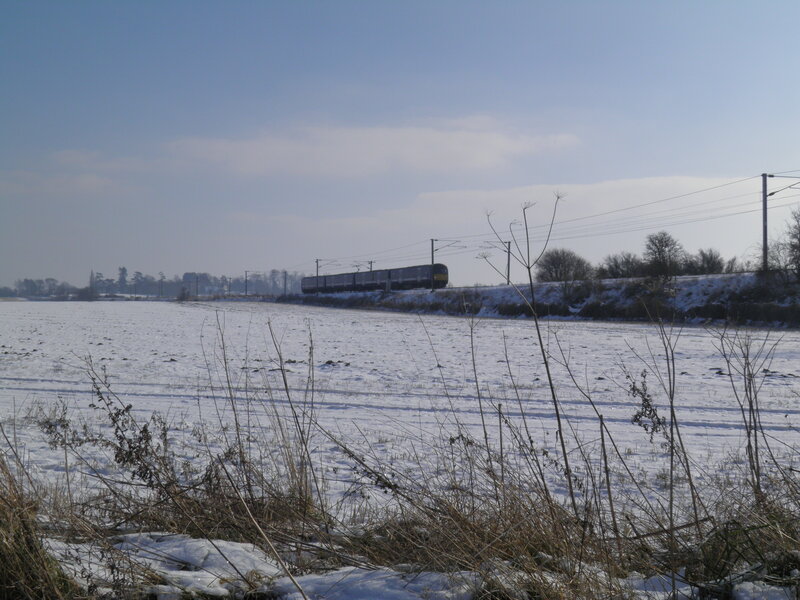 The south-east of England has a dense rail network, even in relatively rural areas, which whilst it suffered some thinning out by Dr Beeching (and some of the closed routes are made use of in walks on this site!) remains comprehensive, mostly with very frequent services. A map of the south-eastern network can be found here, and a more detailed map of the routes near to London here. In general, the network south of the river is more complex, whilst the northern network consists of straightforward radial lines. Trains are operated by a range of train operators – there are nine serving the walks on this site, along with London Underground. In general, who operates the train you need to catch is irrelevant: in the south east tickets are generally inter-available between operators, and for most destinations, there isn’t even a choice. If you do a bit of travelling in the region, you’ll quickly work out which operators have the more modern, comfortable trains and better reliability! Three Oaks station on the Ashford-Hastings line has a very limited Sunday service, which is of no use for people travelling from the London area. There are a wide range of online timetable sites, including ones provided by most train operators. The site run by National Rail Enquiries is as good as any other, and is generally very good at incorporating engineering works into its search results for future dates, and any disruptions when using it on the day of travel. If you prefer a more traditional ‘printed-style’ timetable, most train operator’s sites provide PDFs of their pocket timetables on their own sites – there is a link to these on the relevant pages under ‘Walks by Train Operator’ above. Alternatively, the most up-to-date version of the rather unwieldy National Timetable – which runs to around 4300 pages – can be downloaded here. Note that whilst in every walk information box I have given fare prices, these shouldn’t be taken as definitive. Fares normally rise every year, either by a little or a lot, depending on the vagaries of Department for Transport ministers, the Treasury, train operators and the rate of inflation. The fares were accurate at the time I researched the walk in question, but don’t be too surprised to find them a little bit higher. Or lower, if we’ve entered a cycle of crisis-level deflation by the time you read this. Out to one station, back from another. Walks on this site start at one station and end at a different one, which can sometimes require you to purchase a combination of tickets to travel as cheaply as possible. This is always explained in the info box for each walk, but the general principles are explained below. 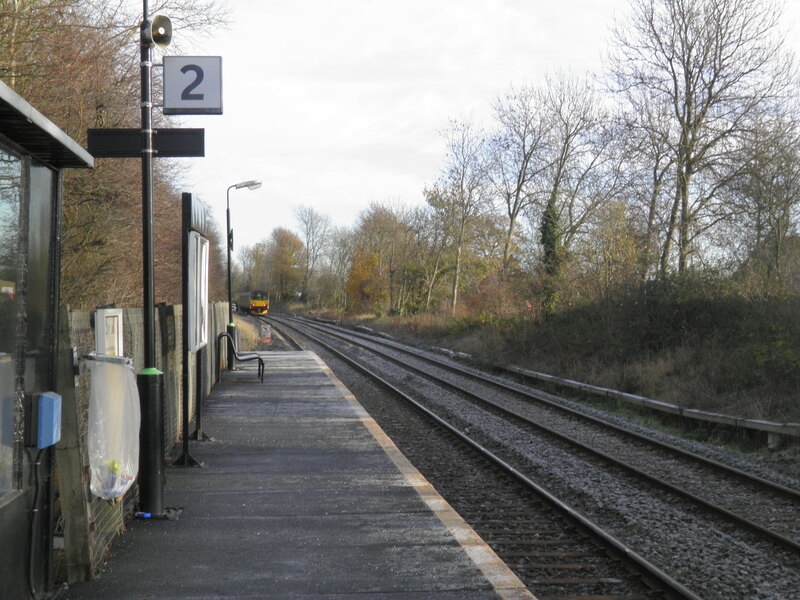 Where the walk links two stations on the same line, simply purchase a return to the station furthest from London – in this example, a return to B. It is never cheaper to buy two singles – a single to any given station is normally a matter of 10 or 20p cheaper than a return. 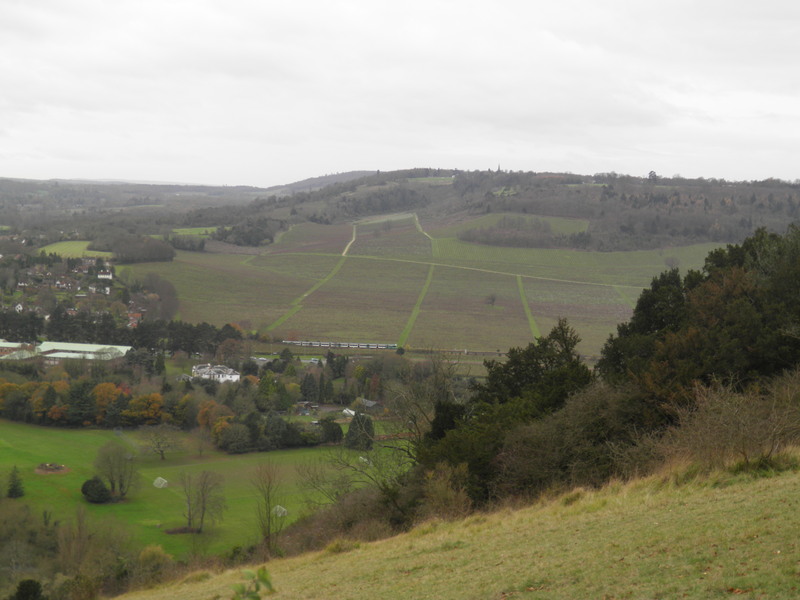 Where a walk links stations on two lines that diverge somewhere closer to London, it is normally cheapest to buy two tickets, the best combination being explained for each walk. This normally means buying a return to either the start or end point, then a single to cover the other ‘branch’. In the example, right, this might buying a return from London to A, then a single B–C. Of course, this will mean you never use the A–C portion of your return ticket, but ‘throwing away’ this portion will still work out cheaper than an alternative. The only complexity here is that when using two tickets to make one journey, you need to travel on a train that calls at the point where the tickets are ‘split’. In other words, when you travel B–C-London, the train has to call at C. Where this is an issue, this is explained in the info box for the walk. Where the walk links two stations on different lines, but which have a common point a little beyond the area of the walk, it can be cheapest to purchase a ticket to that point (C in this example). There are a number of other scenarios, such as where a London Travelcard can cover all or part of the journeys and is the best option – these are explained individually in the text info boxes. In providing details of tickets, I have normally ignored peak tickets – now called ‘Anytime’. 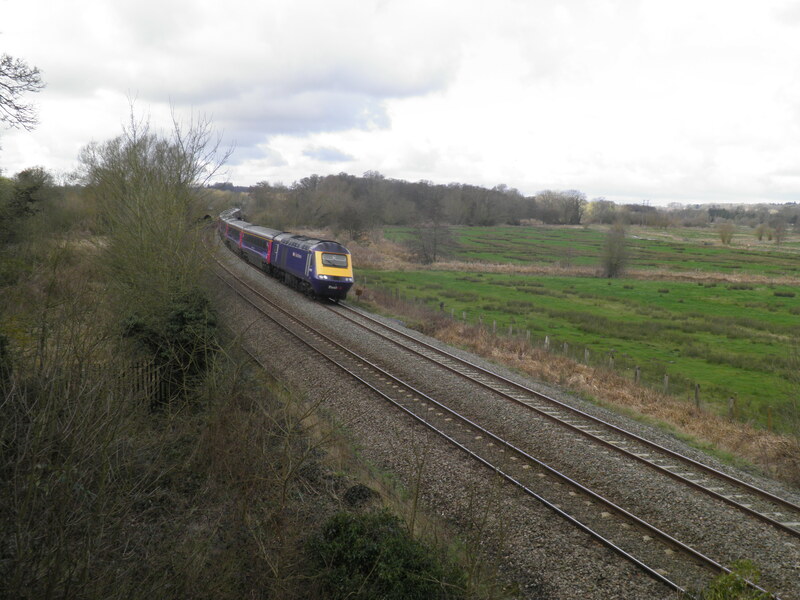 In general, you are likely to be travelling off-peak to do these walks – weekends and bank holidays are off peak all day, and in the week, time restrictions for the use of off-peak tickets apply to the main commuter flows – i.e. into London in the morning and out in the evening. Off-peak tickets will therefore normally be the best option, with some routes offering even cheaper Super off-peak tickets with more time restrictions. The best way to check what is valid for any given journey, is to use one of the online booking engines – I find East Coast‘s to be the most user friendly. Search for the journey you want to make, and clicking on the cheapest fare will highlight which trains that is valid on (or click on the train you want to take to highlight which fares are valid on it). Just to confuse matters a bit more, on some shorter journeys there is no off-peak fare, so you will have to buy an Anytime fare – these tend to be relatively low-cost legs, however. Anytime, Off-peak and Super Off-peak tickets are valid with any relevant train operator and normally via any sensible route. In general, Advance tickets – the cheapest tickets, but sold in limited numbers and for specific trains only (i.e. airline style demand-responsive ticketing) aren’t that relevant in the south-east, as they are largely the preserve of intercity operators. However, Southern and South West Trains do offer advance fares to a number of their longer distance destinations, as do Greater Anglia on their route towards Norwich. These tickets need to be purchased by at least 6pm on the day before travel. Whilst they are generally cheap, you need to weigh them up against the disbenefits – you have to pre-guess the weather, and you are tied to a specific train for your return, when flexibility is nice to have. 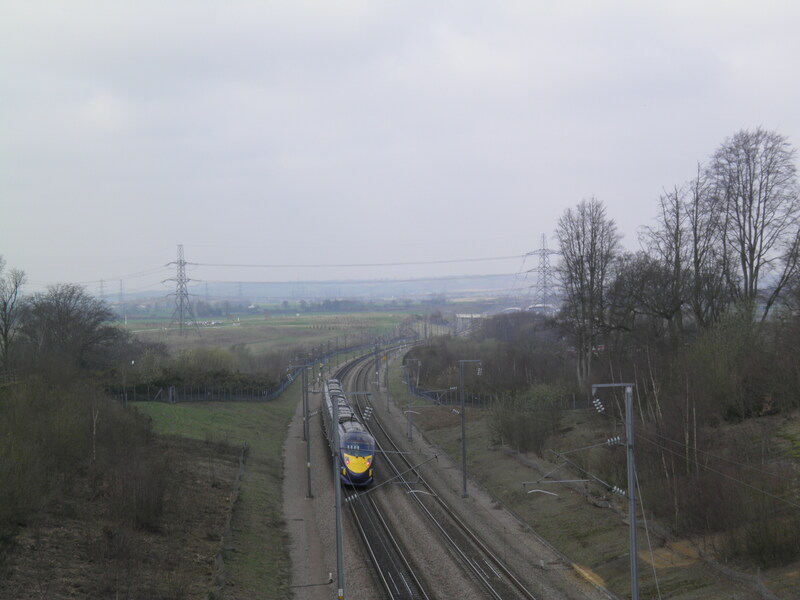 For some of these walks, the fastest way to get there and/or back is to use the domestic high-speed services running on the Channel Tunnel rail line (known as HS1), though there is always an alternative route using ordinary trains. There is a small premium charged for using these services – when purchasing a ticket you should ask that it be routed ‘Via HS1’, or alternatively you can buy the supplement separately at a ticket office, machine or online. Note that the supplement only applies to journeys on the high-speed line, which runs London St Pancras-Stratford-Ebbsfleet-Ashford. Where the high speed trains come off this route onto the standard network to run through to destinations such as Faversham, Margate or Dover, normal tickets are valid. Many people will be able to purchase a railcard which can get them up to one third discounts on most or all tickets anywhere in the country. These railcards cost £30 a year (£20 for the Disabled Railcard), which can be re-cooped pretty quickly. Details of eligibility and benefits are available here. If you aren’t eligible for one of the above railcards, you can still get one-third off most travel in what was called the Network Southeast area before privatization – map here – (covering all the walks on this site) by purchasing a Network Railcard, currently £30. The only significant restriction is generally not being able to use the discount before 10am Monday-Friday (bank holidays excluded). More information here. Do you have a secret Network Card you don’t know about? If you have purchased an annual season ticket for rail travel anywhere in the south-east, including any annual Transport for London travelcard, you should have been handed a mysterious piece of card called a Gold Card with it. This is a ‘thank you’ from the railways for handing over three or four figure sums to them for your season ticket, and is a souped-up version of a Network Card. You get the same discounts as detailed above, plus up to three other adults travelling with you can get the one-third discount, and up to four children (5-15) can travel anywhere for a flat fare of £2. In addition, you can purchase one Network Card a year for someone else for just £1 – despite being called the Network Railcard Partner Card, there is no relationship requirement! If you own a Transport for London Travelcard – whether it is valid for a day, week, month or year, you may be able to use it to cut the cost of your journey. If travelling from within the zones you have the Travelcard for, you can use it to cover that part of your journey and only purchase a rail ticket from the boundary. If, for example, you have a Zones 1-3 Travelcard, and want to travel from London Waterloo (in Zone 1) to Dorking and back, you would simply buy a return ticket from the ‘Zone 3 Boundary’ to Dorking. Unlike the normal splitting of tickets at a specific station, when using a zonal pass as one of the two tickets, there is no need to use a train that stops at the boundary. The only problem here is that you can’t buy tickets to or from zone boundaries from ticket machines or online – you need to use a staffed ticket office. If that isn’t going to be possible, you could order a ticket online from the last station in the zone for which you have a Travelcard online (you can use this map to work out the relevant station) – again, there is no need for the train you use to call at that station. Obviously, you can buy your tickets from staffed ticket offices, which exist at many stations in the south east (use the search box on this page to find opening times for offices at any station), who will be able to sell you any ticket, even if it starts from another station. Ticket machines at most stations can sell you tickets which start at that station. Alternatively, you can buy any ticket (apart from ones involving zonal boundaries) online and pick it up from the ticket machines at most stations (when buying, you will be given a list of stations where you can pick up tickets, as well as other delivery options). Almost all train operator websites have booking engines for all trains, not just their own, and there are a number of other sites in a market that keeps changing – a quick Google is your best bet! “there is no relationship requirement” – I find friendship helps! I have just found your interesting site via a recommendation on the diamond geezer blog. I am looking forward to delving into your content! I often do some weekend walking in London & the South East, and thought I’d share some of my experiences with train tickets/prices. Generally, your advice on tickets/prices is great, and matches advice that I’ve always heard from others and operated by myself. 1. Experienced quite a few times when buying 2 singles is actually cheaper than a return (to the same place). This is clearly shown on the National Rail site when it happens. It is not always shown on other journey-planning sites. 3. Learned that _sometimes_ it can also be against the rules if you try to emulate the third diagram shown in the blog post above – buying a return ticket to a further station where two lines meet, and then walking between an interim station on one line to an interim station on another line.) Apparently the problem is in getting off the train before the stated destination (and getting on the train after the stated origin). 4. One thought about using a London travelcard along with a ticket from such-and-such zonal boundary away from London is that if you are using an Oystercard, you need to be mindful of what kind of tickets you have loaded on there, and if you are using pay-as-you-go, you still will need to get off at the boundary station and touch out with the Oyster, then turn right around and return to the platforms using your paper ticket to go the rest of the journey. If you don’t touch out for pay-as-you-go within, I think, 2 hours of last touching in at a station, the Oyster system will not know where you left the transport system and they will charge you the highest price they can. I think this is true even if you already have a day-travelcard’s worth of journeys on that Oystercard on that particular day. Thanks very much for those very useful observations – I’ll try to incorporate them into the text! I particularly hadn’t thought of issue 4 you raise. As I understand it, if you have a Travelcard and you touch in within your zones and don’t touch out again, it won’t touch you PAYG balance – I touch in every day in zone 1 with my 1-3 travelcard, and don’t touch out when I get off in zone 3, because there aren’t any gates, but it never charges me anything.